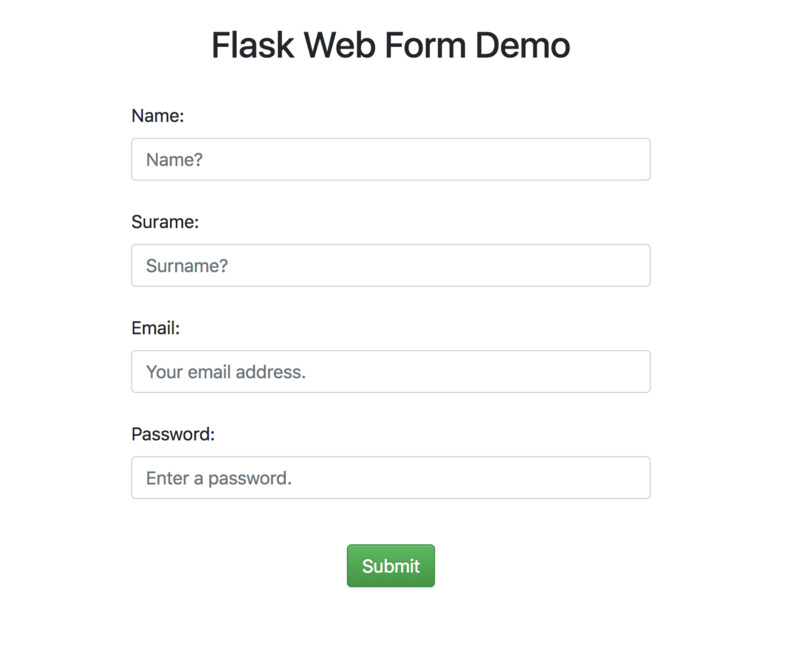 Quick demo with Web Forms using the WTForms module in Python Flask. The Application code of the Web Forms Application. Note that we are also using validation, as we want the user to complete all the fields. I am also including a function that logs to the directory where the application is running, for previewing the data that was logged.